The Defense Advanced Research Projects Agency (DARPA), established in 1958, is an agency within the Department of Defense (DOD) responsible for catalyzing the development of technologies that maintain and advance the capabilities and technical superiority of the U.S. military. DARPA-funded research has made important science and technology contributions that have led to the development of both military and commercial technologies, such as precision guided missiles, stealth, the internet, and personal electronics. DARPA has a culture of risk-taking and tolerance for failure that has led experts, some Members of Congress, and others to view DARPA as a model for innovation both inside and outside of the federal government. The “DARPA model” is characterized by a flat organization that empowers its tenure-limited program managers with trust, autonomy, and the ability to take risks on innovative ideas. Congress has aided DARPA’s efforts by granting the agency certain flexible acquisition and personnel hiring authorities, which have allowed DARPA to engage with people and entities that may have otherwise been reluctant to interact and do business with DOD. DARPA funding has remained relatively steady over time. In FY2017 constant dollars, DARPA funding has decreased by less than 1% from $3.35 billion in FY1996 ($2.27 billion in current dollars) to $3.32 billion in FY2019 ($3.4 billion in current dollars). Nearly all of DARPA’s funding falls under the categories of basic research, applied research, and advanced technology development. Funding under these categories is referred to by DOD as the science and technology (S&T) budget. DOD’s S&T budget is often singled out by analysts and others for additional scrutiny, as it is viewed as an investment in the foundational knowledge needed to develop future military systems. DARPA’s share of Defense S&T funding has remained relatively steady at between 22% and 25% from FY2000 to FY2019. In FY2019, basic research accounts for 14% of DARPA funding, up from 3% in FY1996. However, the proportion of DARPA funding supporting basic research in FY2019 represents a 10% decline when compared to the proportion of DARPA funding supporting basic research in FY2018. Between FY1996 and FY2019, DARPA’s share of DOD research, development, testing, and evaluation funding has declined from 6.4% in FY1996 to 3.6% in FY2019. Some Members of Congress, think tanks, and other experts have expressed concern that the U.S. military is losing its technological advantage and have called for increased innovation within DOD to address the perceived decline in U.S. technical dominance. 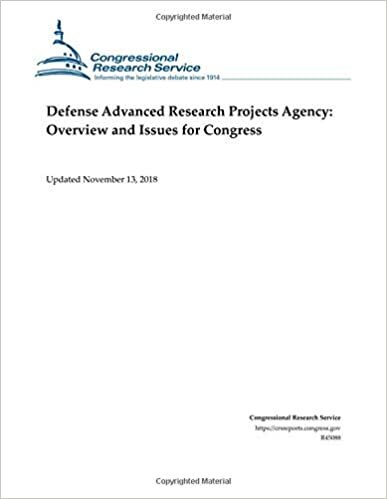 In this context, Congress may consider several related issues, including the appropriate level of funding for DARPA; the effectiveness of the agency in transitioning technologies to the military services and the commercial sector; the role to be played by DARPA in any efforts by the Under Secretary of Defense for Research and Engineering to increase innovation at DOD; and the mechanism by which DARPA integrates ethical, legal, and social considerations into its research and development projects.